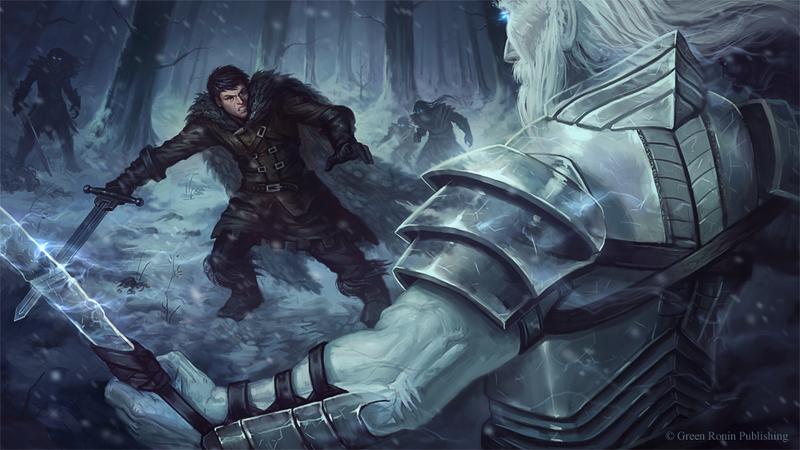 In the first in a new series of VOK-casts, the Vassals return to their roots with a linear re-read of George R R Martin’s A Song Of Ice And Fire. This episode covers events from June 297 to March 298. This translates to the following chapters in Game of Thrones: the Prologue, Dany 1 (21 mins), Dany 2 (37 mins), Bran 1 (48 mins), Cat 1 (1hr 9m) and Dany 3 (1 hr 18m) in that order. Whiteraven then shares his theory of why seasons change (1hr 28m). In doing this re-read we are hugely indebted to the reddit author who compiled the linear timeline linked below. Podcast hosts: Bina007, Middlecyclone (Amanda), Nadia, Varley (Matt) and Whiteraven (Brett) with extra podcast goodness from the Podcast Bard, Jed O’ White Hart. For those of you playing along at home, the next episode will cover Game of Thrones: Ned 1, Jon 1, Cat 2 and Arya 1 which corresponds to April 298. Picture credit: Jon Neimeister. Music credit: Sammy Davis Jr’s superlative Old Black Magic. This entry was posted in A Song of Ice and Fire, ASOIAF ReRead, Books & Novellas, Podcast and tagged Bina007, jed o'white hart, middlecyclone, Nadia, Varley, White Raven. Bookmark the permalink. please link to that where are the characters now survey! I would like to test my mettle!